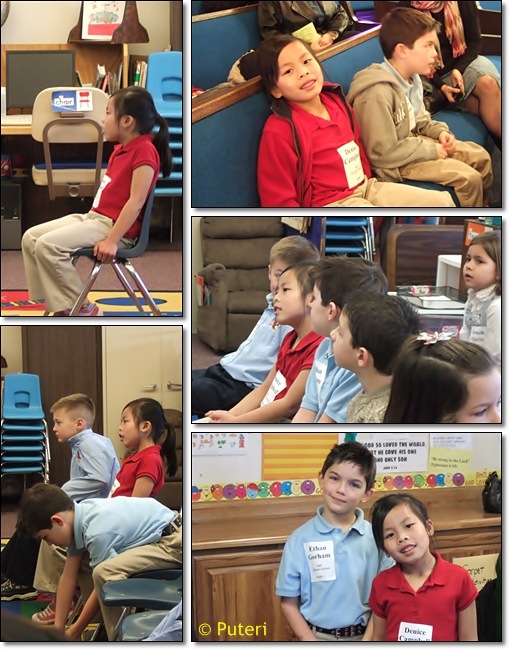 Last Monday I accompanied Denice and 7 other kids and their parents to a Spelling Bee that was held in Yuba City. The Bee was held in a Christian School there and Denice and one classmate represented Grade 1 for their school. It wasn't a big Spelling Bee. Nine Christian Schools took part and the grades involved were 1 to 4. All the participating schools, except for one, sent two spellers for the competition. By noon the competition was done with, which was good. I wasn't looking forward to staying around a long while waiting for the thing to end! It wasn't that long ago that a try-out was held at the kids' school and unfortunately we did not do our part by helping Denice train for the Spelling Bee a lot harder. She does not know how to study on her own. That being the case, she was eliminated in the first round. Nevertheless, it was a good experience for both Denice and her classmate. Now that they know what is involved in the competition and should they be in the position to represent their school again in the future, they will be more prepared. Good job all around for the kids participating, though! Last weekend I was in the hills of Los Osos photographing wild flowers. The weather was beautiful and I had a great time looking for the wild flowers to photograph. I did not know the names of the flowers I was photographing, but Doug's brother-in-law has a website where he tries to document some of the flowers that he finds in the hills where he lives. 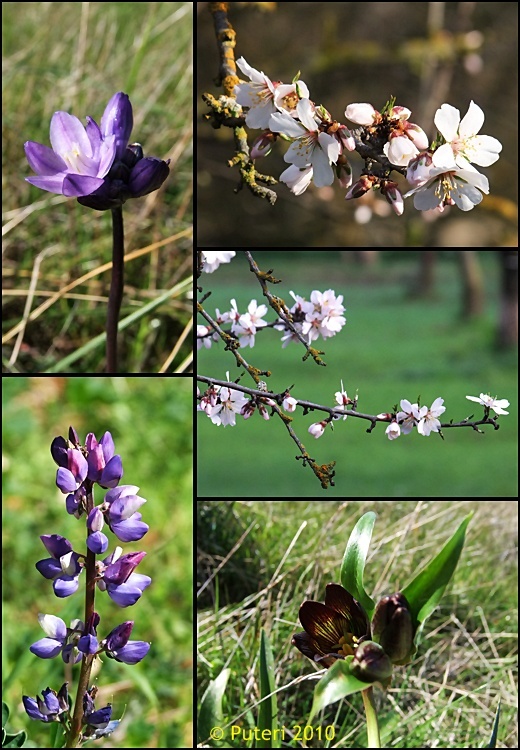 From his photographs, I am now able to identify the flowers that I photographed that weekend. The fruit and nut trees in my neighbor's orchard are also budding and blooming. Every year I photograph the beautiful flowering trees - an enjoyable activity indeed! This winter has been a wet and cold one! I am most definitely ready for spring!